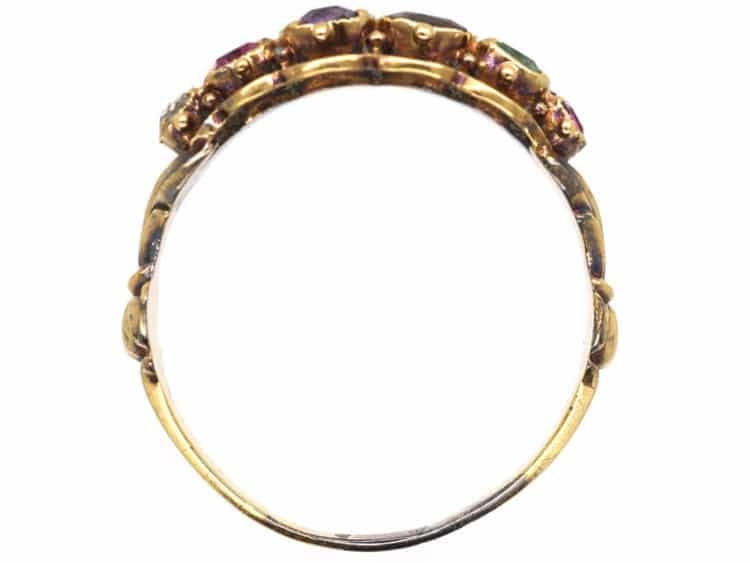 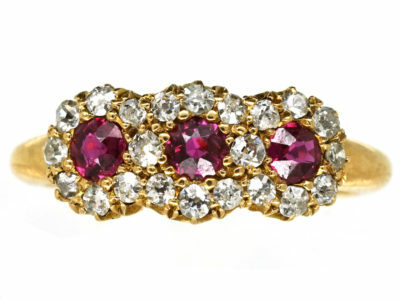 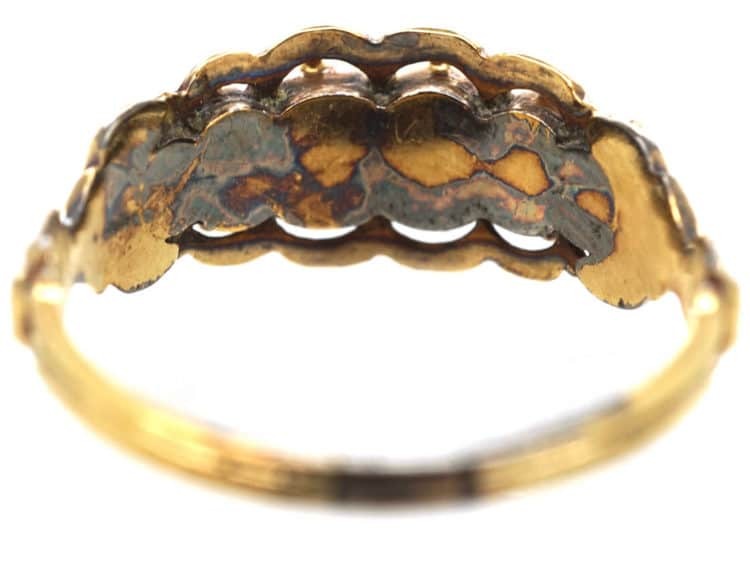 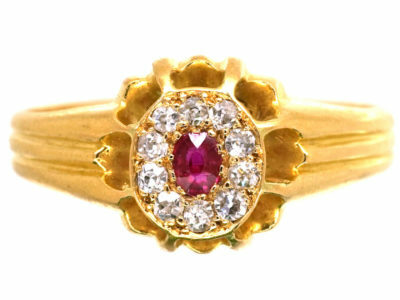 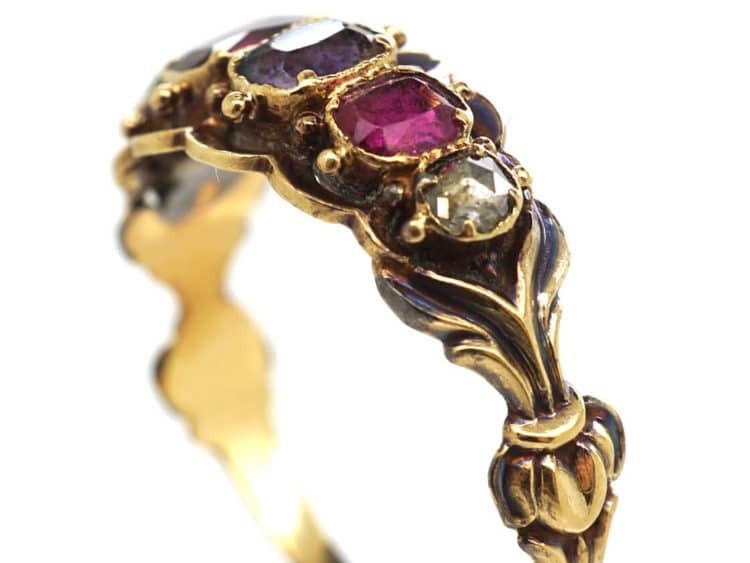 A rare and original 15ct gold ring that spells “Regard”. 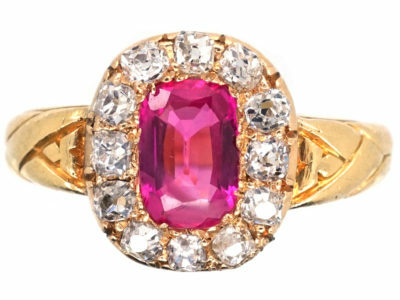 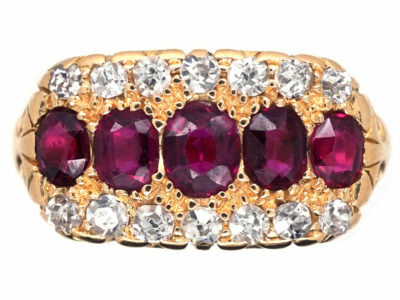 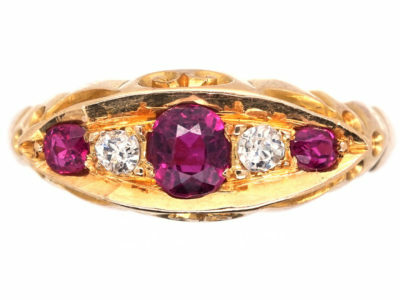 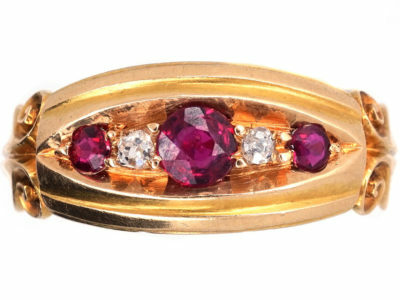 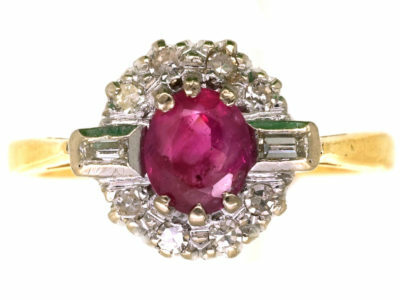 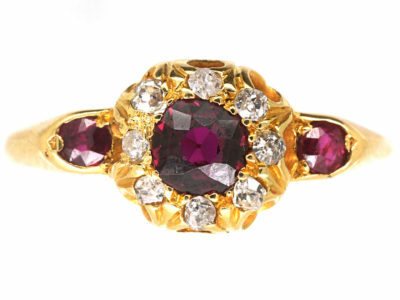 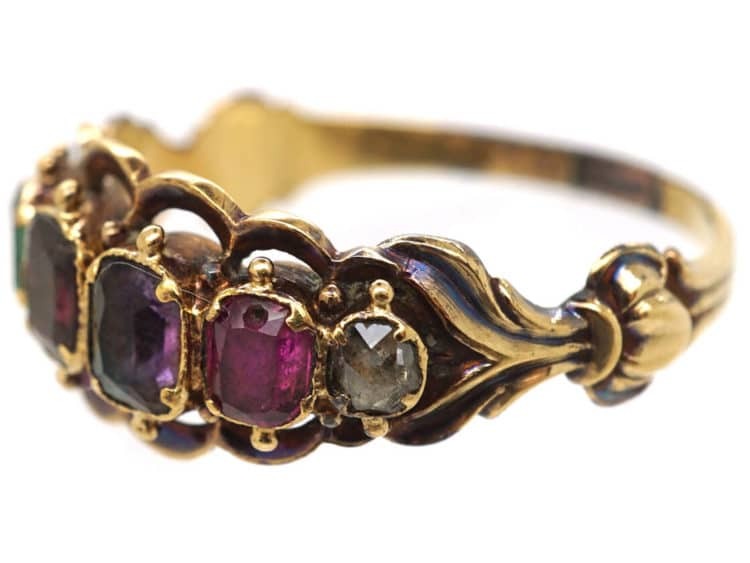 It was made circa 1820 when jewels such as this sent secret messages from an admirer. 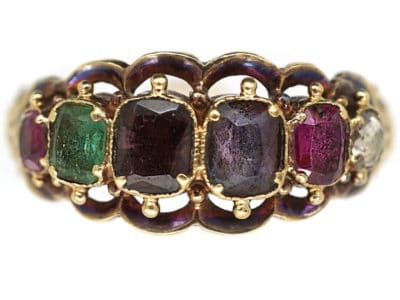 The first letter of each stone spells out the word. 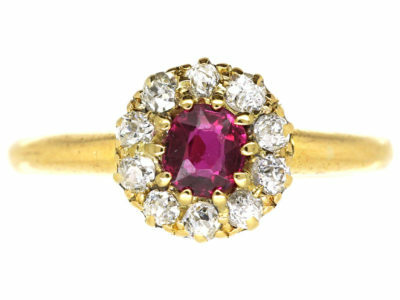 Ruby, Emerald, Garnet, Amethyst, Ruby, Diamond. 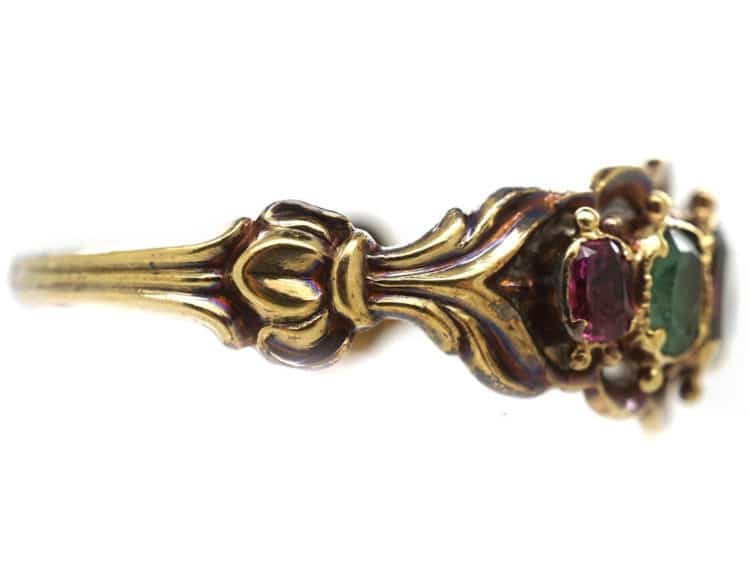 The shank is also particularly pretty. 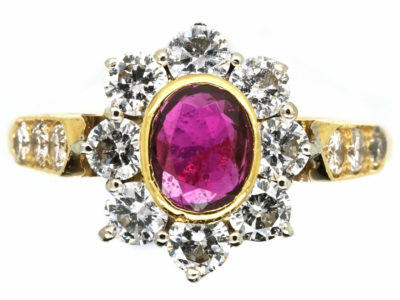 It is lovely condition and would be a great ring to give as a token of love. 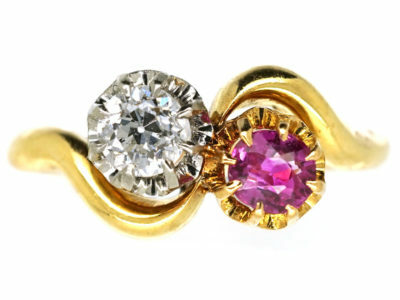 It is so hard to find the original Regard rings. 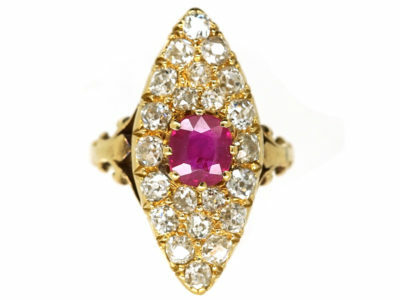 There are many replicas out there.